Anatomy Lesson – You. Me. Us. 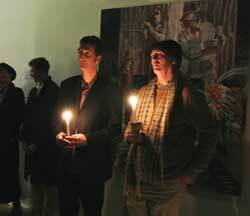 Rod Moss retrospective opens. 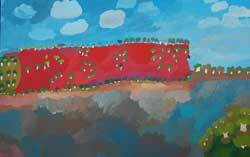 Araluen Galleries till August 11, 2013. Anpernirrentye – Kin and skin. 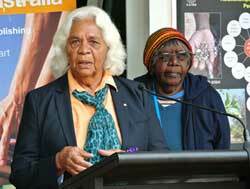 Talking about family in Arrernte by Veronica Perrurle Dobson AM and John Henderson. IAD Press, 2013. From Alice with Love. 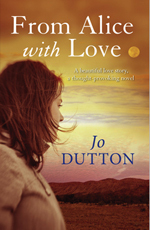 Jo Dutton’s third novel. Arena, Allen & Unwin, 2013. 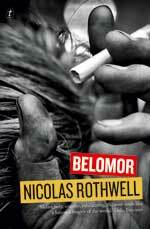 Belomor by Nicolas Rothwell. Text Publishing, 2013. Craig San Roque’s The Long Weekend in Alice Springs. Adapted and drawn by Joshua Santospirito. San Kessto Publications, 2013. Our Way, Their Way, at RAFT Artspace, 2013. 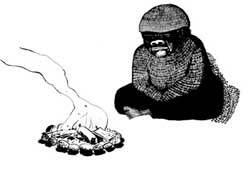 An exhibition by Tangentyere Artists and Yarrenyty Arltere Artists.